Greg Sedlock is a native of Dayton, Ohio. He is a graduate of the University of Cincinnati. Greg entered the insurance business in 1990 as a college co-op in the commercial lines department of the Cincinnati Insurance Company. After graduation in 1992, Greg accepted a full-time position as a commercial lines underwriter with Cincinnati Insurance. Greg’s later role with Cincinnati Insurance was a commercial lines underwriting manager for Central and Northern Illinois. Greg’s wife, the former Leigh Ann Beets, also worked at Cincinnati Insurance as an underwriter in the commercial lines department. In 2001, Greg and Leigh Ann moved to her native home of Savannah to work and eventually perpetuate her father’s agency, Jerry Beets and Associates, which opened in 1983. In 2005, Greg purchased the agency. Greg continued the front line underwriting and strong customer service approach implemented by Jerry and had exceptional growth in both the personal and commercial lines books of business. The agency excelled with long-term retention of clients and company profitability. 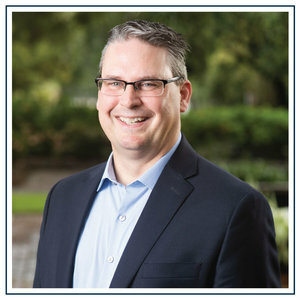 Greg is a member of the Savannah Quarterback Club, Executives Association of Savannah and sits on the board of directors for Savannah United, a local not-for-profit club supporting youth soccer in our area. Greg and Leigh Ann have one son, Nicholas. The family is active at Isle of Hope United Methodist Church. Greg co-directs the Personal Lines vertical for Chatham Insurance Partners and continues to handle a diverse book of commercial lines business.